Dr. Tomas Balkelis is a senior research fellow at the Lithuanian Institute of History in Vilnius. He received his Ph.D. in History at the University of Toronto in 2004. He worked at the Universities of Manchester and Nottingham. During 2016, he was a visiting scholar at Stanford University. 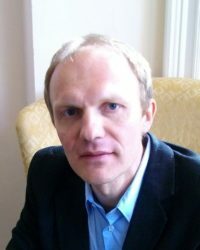 Throughout 2014 to 2016, he led a Lithuanian Research Council funded team of historians based at Vilnius University working on the international project Population Displacement in Lithuania in the 20th Century which focused on forced population transfers, refugee identities, and displacement experiences between the Great War and the end of the Cold War. During 2009 and 2013, he was a European Research Council Postdoctoral Research Fellow at University College Dublin. He is the author of The Making of Modern Lithuania (Routledge, 2009) and co-editor of Population Displacement in Lithuania in the 20th Century: Experiences, Identities and Legacies (Brill, 2016). His articles have been published by Past and Present and Contemporary European History, among other journals. He has a particular interest in the modern history of the Baltic states. His research fields include nation-building, national myth-making and conspiracy theories, memory studies, population displacement, and paramilitary violence. “Social Banditry and Nation-Making: The Myth of a Lithuanian Robber,” in Past and Present.